Being Retro: MOUSE IN THE HOUSE! FUN FACTS: Mighty Mouse: The New Adventures was the subject of media controversy when one scene was interpreted as a depiction of cocaine use. In the episode "The Littlest Tramp" a poor mouse girl attempts to sell flowers, and is repeatedly harassed by a rich man who crushes her flowers. She runs out of flowers and makes new ones from sundry items she finds, such as tomato slices, but the man crushes these too. Mighty Mouse attempts to purchase the flowers with his chunk of cheese, and to avenge the girl, but she gives Mighty Mouse the crushed flowers and insists that others need help more than she does. After successfully saving several different characters, he is reminded of the girl, and attempts to smell the flowers she gave him (now a pink powder), inhaling them in the process. He then finds the man that has been harassing the girl, and spanks him. The girl is sympathetic to the man, and he is so moved that the two are married. Cocaine use just because he accidentally sniffed the crushed flowers? Get a life people. OMG I must be getting old I remember watching the reruns as a kid. I've always thought that druggie interpretation of this particular Mighty Mouse was kind of weird and probably way off base. 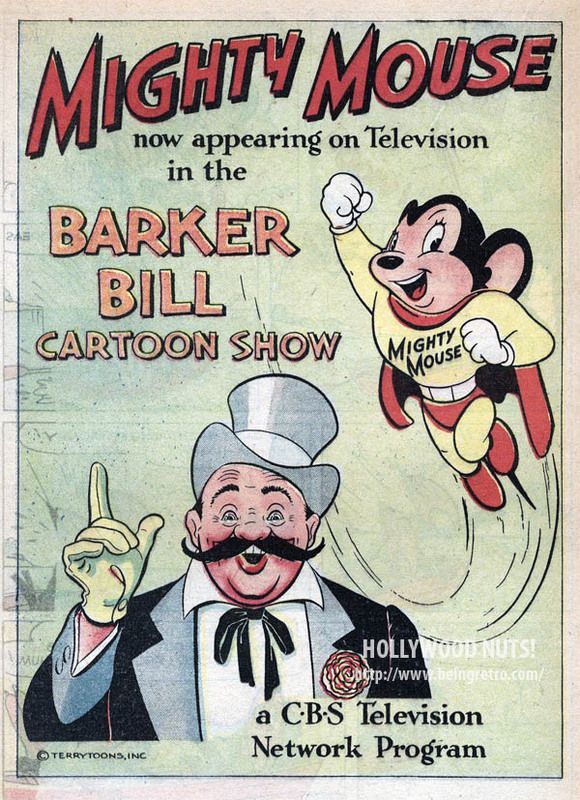 I've seen many drug references to drugs and such in cartoons--especially those of the 30's and 40's--but any reading drugs into cartoons such as Mighty Mouse might be the result of over active minds just trying to come up with anything that might be a controversy. Mighty Mouse was never one of my favorite cartoon characters anyway. Kind of like the annoying Woody Woodpecker.